Transform your home and garden with our effortless bioclimatic pergolas. Redefine the entrance to your home with the addition of our stunning bioclimatic pergolas. Enjoy your new living space all year round by shielding your lounge area with a remote controlled, motorised blade operation for the roof. Easily adjust between a fully ventilated roof to a solar shading or a complete weatherproof enclosed roof. 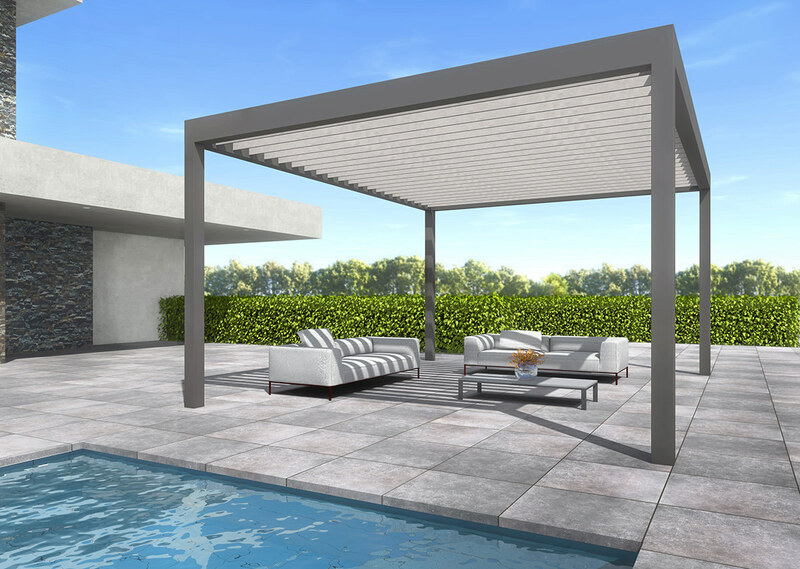 Our pergolas are designed with all the latest technologies in mind, with a motorised remote control roof blade. Operate your pergola roof with a remote control system that can even contain a feature that automatically shuts your roof with a rain sensor. 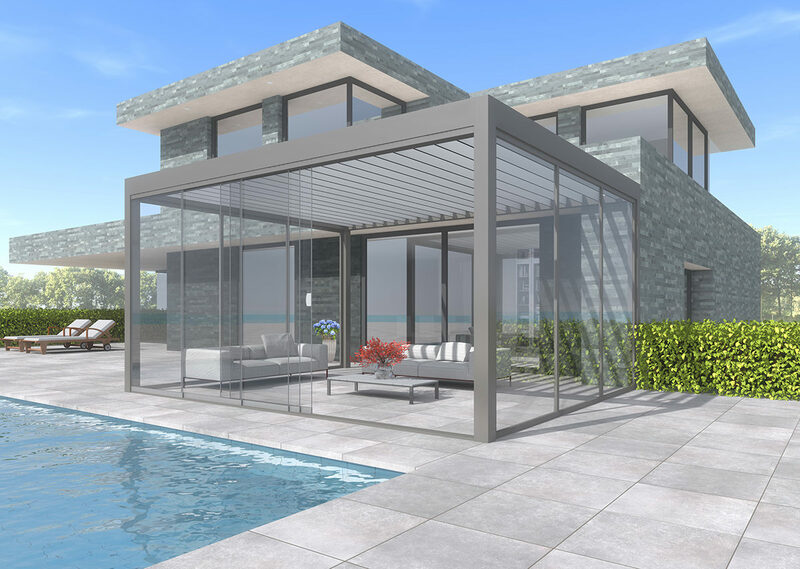 Bring your home into the 21st century with our modernised pergola design. Capture a modern and stylish aesthetic to your home with our pergolas while benefiting from all the benefits of the latest in technologies. With a range of finishing options available to create a truly bespoke design, you can tailor your pergola to suit your home. Make a bold statement to the exterior of your home and bring a modern flair to your traditional home. 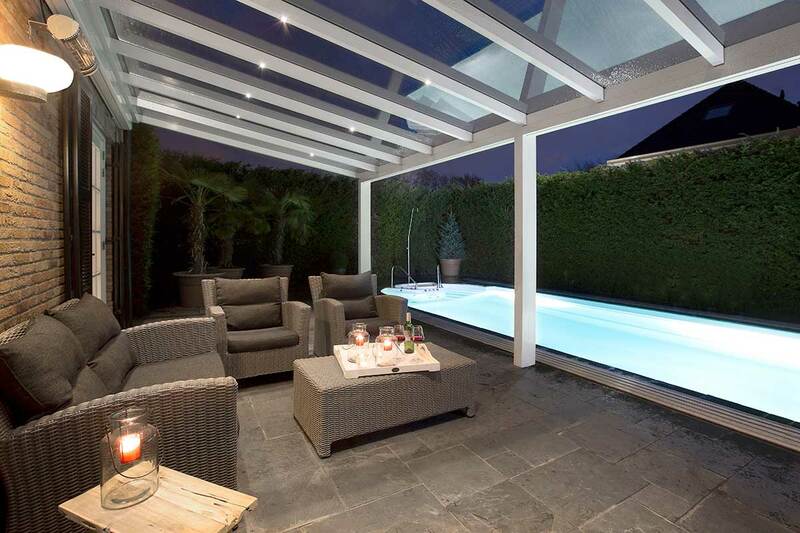 Due to its modern aluminium profile, our pergolas can withstand a lifetime of use. Outclassing their timber or uPVC alternatives, our aluminium frame will not warp, rot or crack when exposed to standard weather wear and tear. Put your home and families mind at ease that you are investing in a product to last. With an extensive range of colours to choose from that each come with a durable polyester powder coating, you can be sure to find the right style to suit your taste. Our colours have been specially chosen to complement the aesthetics of any home, from modern to traditional. Opt for an alternative colour for your roof blades, to create a truly bespoke pergola design. 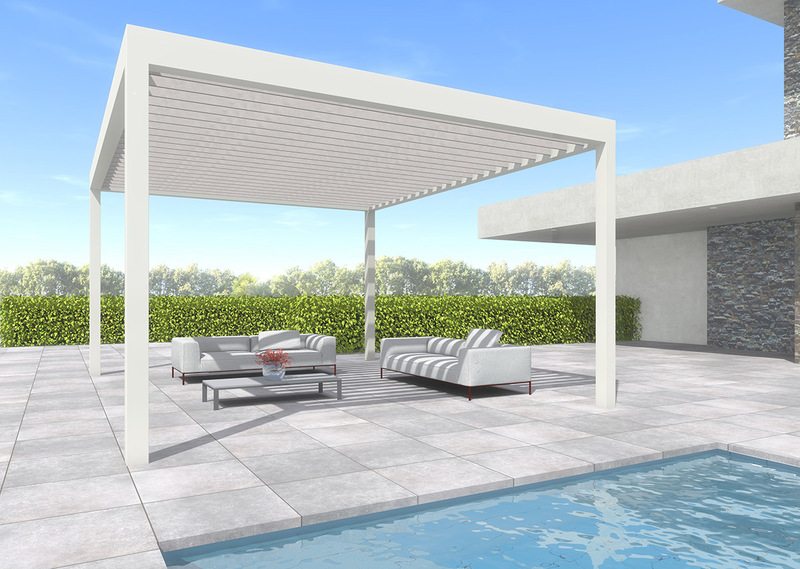 Choose to integrate your new pergola with customisable options to ensure that you can enjoy your pergola all year round. Benefit from our integrated glass walls, doors, privacy blinds, LED lights or radiant heaters and comfortable use your new living space no matter what the time of year is. Here at SecureStyle we only work with industry leading products and our bioclimatic pergolas from Better Outdoors are no different. 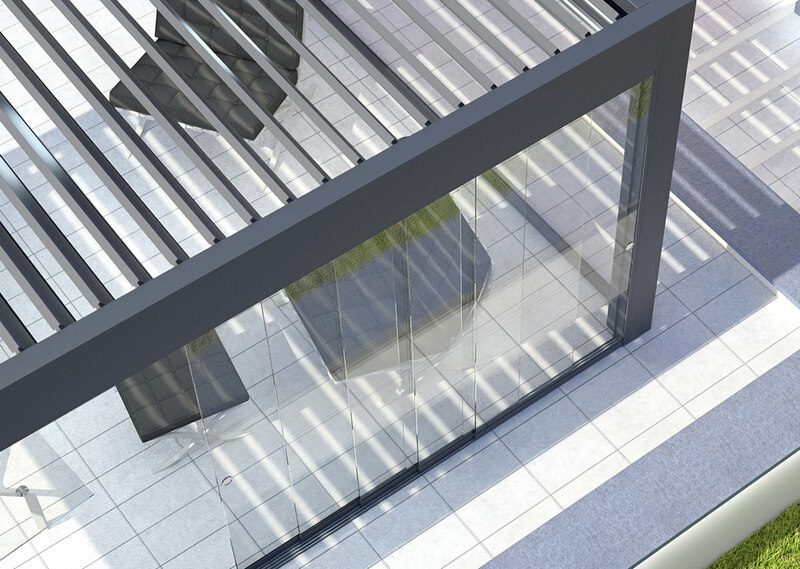 By choosing our aluminium pergolas, you are investing in an exceptionally robust and durable profile to ensure your home is not affected by the weather or security breaches. 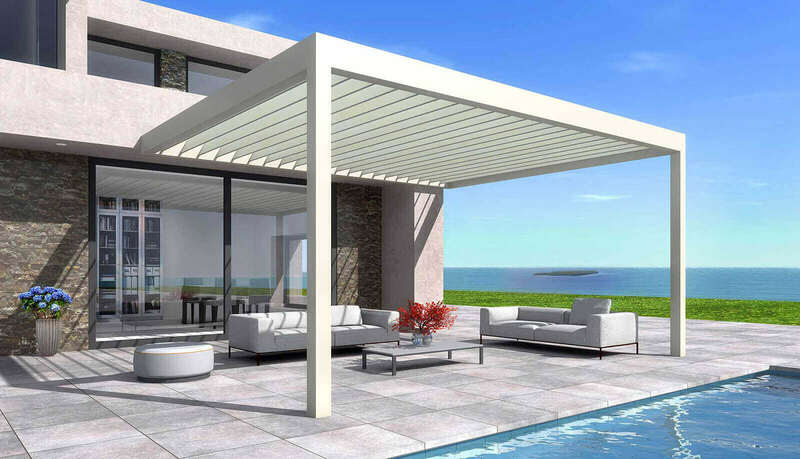 All our aluminium pergolas are highly energy efficient and benefit your new living space with incredible performance. Utilising all the latest in modern technologies, we can provide homeowners with the comfort, practicality and performance that they desire. With the added option to customise your living area to complement your home correctly, you can put your mind at ease in SecureStyle. 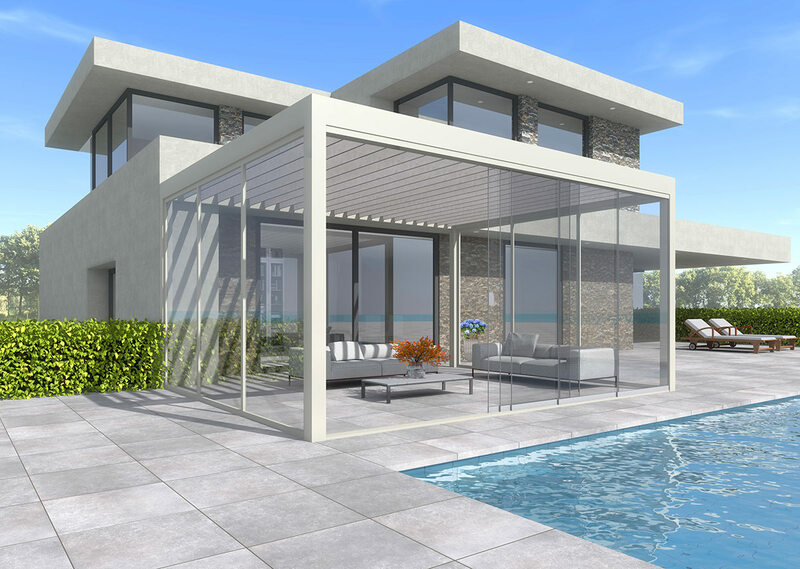 We understand that every home is unique, so we offer an extensive range of customisable options to ensure you can complement your pergola with the style of your home. Blend your design seamlessly by altering the colour from our extensive RAL colours. Or, optimise your design further with our range of high quality glass walls, sliding doors, LED spotlights, privacy blinds or heaters. Enhance your home to enjoy the benefits of your garden all year round. 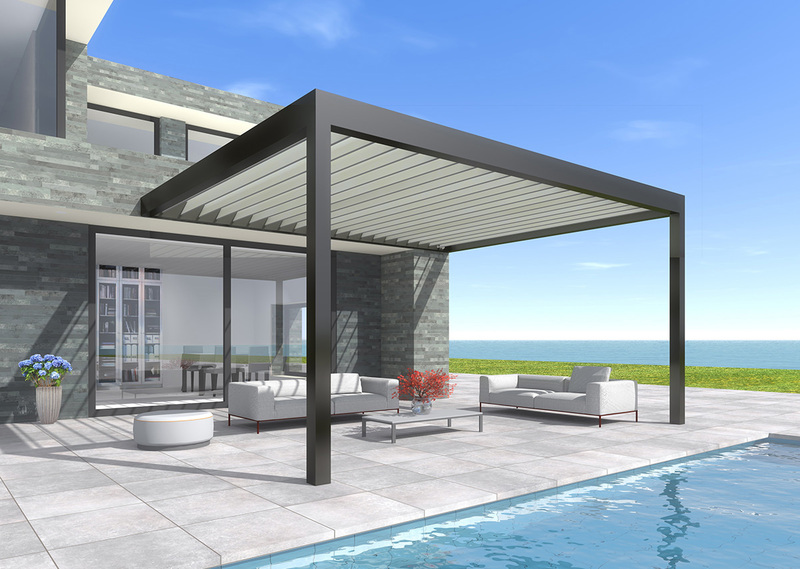 With modern advances in mind, our pergolas can bring a whole new meaning to technology. Benefit from a remote controlled integrated roof that allows you to enjoy your pergola all year round. With the option to create an entirely bespoke design, you can be sure to find the right style to suit your home. SecureStyle only offer customers the best quality products in the market today. Which is why we only work with industry leading suppliers and why we only install our pergolas by expertly trained fitters. Are you looking to enhance the aesthetics of your home and garden with one of our modern pergolas? SecureStyle have the ideal solution for you. We are committed to only providing our homeowners with the best quality products. Get a quote from us today. Or, call us on 01227779372 and speak to one of our members of staff and begin your dream home improvement project today.